Students in grades 6-12: We welcome you! When Jesus did ministry, He understood and accepted people for who they were, and we accept you for the person you are. At VPC Student Ministry, we design our programs to meet you where you are. Contact us anytime, our doors are always open. 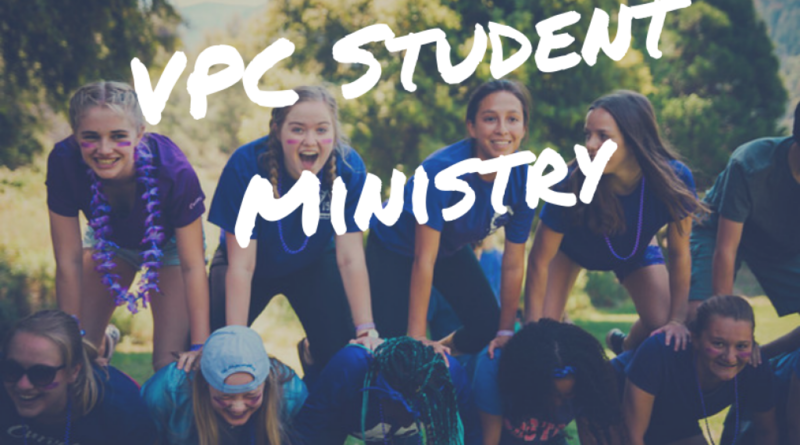 We would love to connect with you on Facebook (VPC Student Minstry), Instagram (@vpc-student), and Twitter (@vpcstudent)! This is a great way to be reminded of our events and to learn more about our ministry! Summer Oasis will not meet regularly. Please check your emails to keep track of the latest information! Oasis Students is a fun-filled extension of VPC Student Ministry where students are invited to hang out, make friends, and grow deeper in their walk with Christ. These gatherings include exciting events and activities along with age relevant curriculum aimed at forming students in new ways to help them discover God's calling on their lives. Invite friends and get ready for an amazing time - we can't wait to see you there! Homework room, recreation area, and a free time to buy dinner at the food trucks will be available from 6-7:30PM for High School students; Middle School students will have access to the homework room, recreation area, and food trucks as well from 7:30-9PM or after they meet. We hope to gather once or twice every month for a fun event, outside of the church! We have several events listed for fall and are really pumped for you to take part! (Please note that times for the following events vary - Please check our social media accounts for details.) Registration for each event can be found below. Sunday Gatherings will not meet regularly. Please check your emails to keep track of the latest information! Our Sunday morning gathering is a time for students and leaders to reflect and dive deeper into the previous Wednesday teachings. This is an intentional time to have more theological conversations and to have a safe space to invest in community. Serving our community is an act of God's love and a spirit Jesus Christ adopted while here on earth. We are so excited to head to Manhattan, New York for a week of serving others and building relationships in the beautiful Big Apple. Register and submit your deposit today! Join us for a week of service and building relationships with those in Tuba City, Arizona. Register and submit your deposit today! A special summer camp event that brings our students together in a Christ-centered environment to fellowship with one another and other attendees. Register below! We are thrilled to provide an opportunity for high school students to take their faith to the next level by offering a youth new members class. This class will allow students to further develop their understanding of the Christian faith, examine their own faith, and make a public statement of their faith with the intent of becoming members of VPC if they choose. Parents are encouraged to attend a one-time informational meeting to understand the components of the Youth New Member Class. Tina Gilbreath will facilitate. Register today!